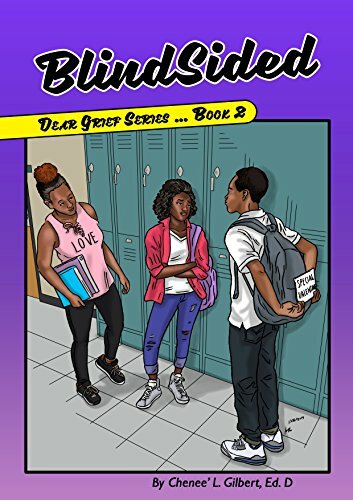 Blindsided opens on a breezy, summery note; twelve-year-old LaTrell attends summer camp where she is thrown into a new group of friends and she wants to make a good impression. But this means defying her father and avoiding his suspicions. Soon it’s clear that she and her family are still dealing with the aftermath of her mother’s death. It shows how the family copes with the changes and react to the events following her death. The book also shows the relationships between LaTrell and her father Luis, and her nine-year-old brother Daryl. The book is written in a simple way with a positive tone. This allows it to be aimed at families, not just young teenagers. Older children, (like Daryl) would be able to read this book with parents. The book explores a lot of difficult issues, mainly grief, but incorporates cyber-bullying and the general problem of fitting in. The positive tone encourages discussion and leaves the reader with the impression that experiencing these issues is okay. There are questions at the end of each chapter – such as ‘What would you have done if you were in LaTrell’s shoes?’ These questions are a little unusual in a fictional book, but their purpose is evident. The questions encourage interactive reading. Older children who can read alone may use the questions to reflect on what they have read, or it may allow them to bring thoughts to their parents. For younger children, parents can raise these questions with them to encourage them to discuss their feelings. 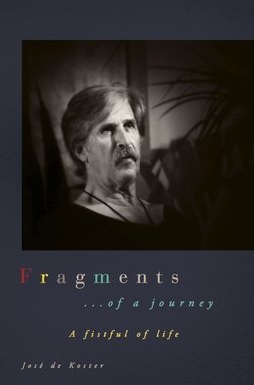 The main theme of the book is dealing with grief and it is explored in conjunction with other childhood issues. Throughout the book the children are encouraged to discuss their feelings and any hardships with appropriate adults. This then shows the positive aspects and importance of good family relationships. LaTrell’s friendship with Peaches (who focuses on the relationship with her father) shows how friends can support positive relationships to develop within families, even at a young age and highlights the importance of childhood friends. Through the strong bond between LaTrell and her father, the importance of mutual respect, compromise and communication is shown. For LaTrell it is important that she has freedom to make her own choices, looks cool and has a good reputation with her friends. So, it is key, that her father listens to her and though he does not always agree, he allows her to express herself in ways appropriate for her age. Through this, it highlights the importance of balance in the parent-child relationship. Although Blindsided by Chenee’ Gilbert is a book that encourages communication and positive relationships, there is a lot of different events that occur in the book. Each of these is explored but there is room to go into a lot more detail with each one. The book has mostly positive outcomes, but we know that this is not always the case in real life – therefore if each issue was explored in more depth, then perhaps parents would be a little more prepared if their children are not as co-operative as LaTrell. Overall, I thought this was a very good book. Posted on June 26, 2018, in Book Reviews, Four Stars and tagged alibris, author, author life, authors, barnes and noble, Blindsided, book, book club, book geek, book lover, bookaholic, bookbaby, bookblogger, bookbub, bookhaul, bookhub, bookish, bookreads, books of instagram, booksbooksbooks, bookshelf, bookstagram, bookstagramer, bookwitty, bookworks, bookworm, children, Dear Grief Series, death, Dr. Chenee' L. Gilbert, ebook, emotion, family, fitting in, friends, goodreads, grief, ilovebooks, indiebooks, kindle, kobo, literature, loss, nook, novel, publishing, read, reader, reading, school, shelfari, smashwords, society, story, teen, writer, writer community, writing, YA, young adult. Bookmark the permalink. Leave a comment.